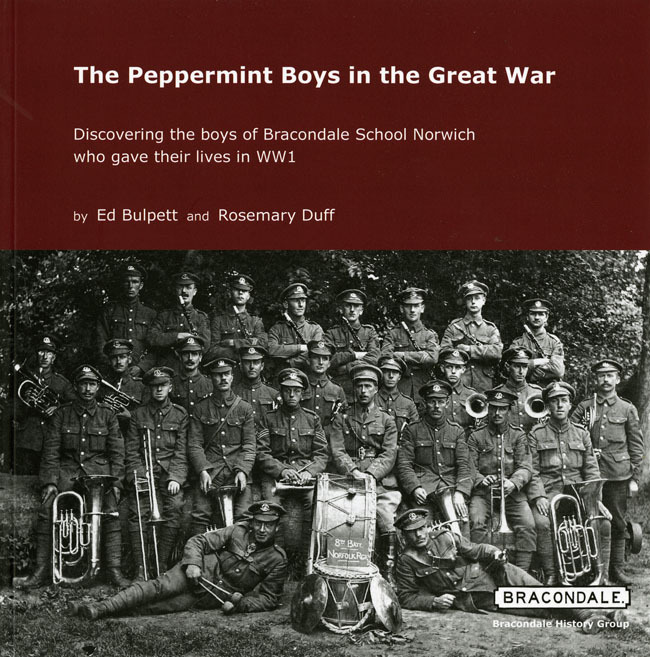 For most of the past two centuries, Bracondale School, Norwich, situated on one of the main routes in to the city, provided an excellent education to boys from the county and beyond. Forty four past pupils gave their lives in the First World War, and their names are listed on the school’s War Memorial. Our book, The Peppermint Boys in the Great War, published to mark the anniversary of the outbreak of WW1, seeks to uncover the stories behind the names on this memorial. Four of those who died were part of the Royal Flying Corps, or, as it later became, the Royal Air Force. Two of these young men died in training, before they ever reached France and the front line, the other two acquitted themselves with distinction during their short time in active service. Lt David Alexander Glen attended Bracondale School. He joined the Royal Flying Corps, making his first solo flight on 1 June 1915, gaining his pilot’s certificate four days later. He arrived in France at the end of that month, and flew a total of fifteen flights before being shot down and killed in December 1915. RAF) on reconnaissance as far as Cambrai and St Quentin, when they saw six enemy planes heading towards them. Reluctant to turn back, Douglas turned towards and underneath the attack, whilst Glen held his course – they had earlier debated which tactic was the more effective. Two Fokkers dived in pursuit of Glen’s plane, which was hit and spiralled down in flames. His death deprived 8 Squadron of one of their most able pilots; just two months earlier he had been awarded the Croix de Guerre. Cpt Donald Charles Cunnell was born and brought up in Norwich, where his father was a brick maker. After attending Bracondale School he spent a year at Gresham’s. He joined up in September 1914, serving with the Hampshire Regiment, and was attached to the Royal Flying Corps. On 6 July 1917 he and his air gunner, 2 Lt Albert Woodbridge, were flying a sortie against the enemy near Ypres, when they encountered the notorious German aerial ace, Manfred von Richthofen, known as the Red Baron. Woodbridge and Cunnell both opened fire, and, despite the distance of over three hundred metres, scored a lucky hit, causing the Red Baron to slip into a spin and plunge to the ground. 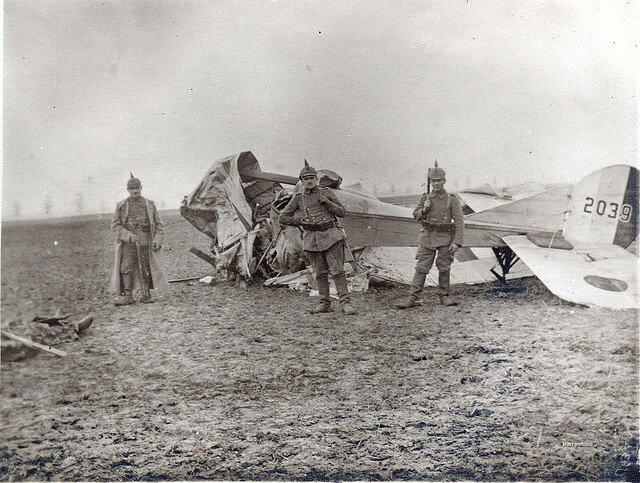 Von Richthofen survived the incident, but sustained a head wound that would badly affect his flying ability, and he was shot down and killed on 21 April 1918. 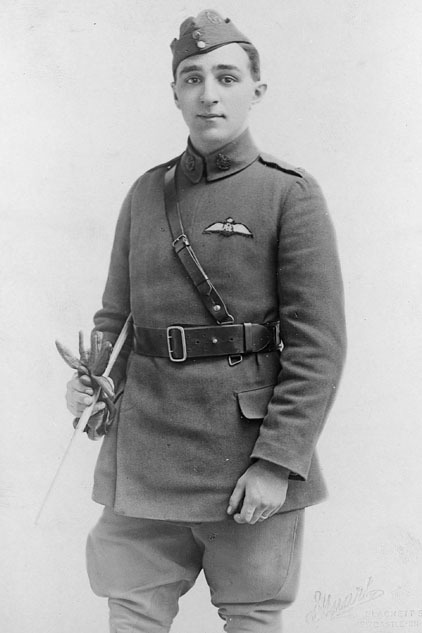 Cunnell himself was killed just a week after his encounter with the Red Baron, hit by artillery fire as he was returning to base on 12 July 1917. He was aged 23 years. Lt Meyer Joseph Levine died in training on 8 May 1918, aged 19 years. The aircraft he was flying collided in mid-air over Stamford, both aircraft spun out of control to the ground, killing two trainee pilots and a flying instructor. Taking place just over a month after the RFC became the Royal Air Force, this may have been the first mid-air collision of the newly constituted RAF. Lt William Miles died in training later that summer, on 24 July 1918, at Reading. He was at No 1 School of Aeronautics, which had its headquarters at Wantage Hall. He was aged 24, and had transferred from the Worcester Regiment to the RAF. He was born in Norwich. In the early days of the RFC and RAF, pilots were selected for their practical skills, in particular engineering or blacksmith work. Aeronautics was so new that all had to be trained from scratch. Instructors were often pilots who were no longer fit for combat. Of the 14,000 pilots who died in the Great War, 8,000 were killed in training. Among those who reached the Front, life expectancy often just a few short weeks. This entry was posted in Local collections, Uncategorized and tagged "norwich city", World War 1. Bookmark the permalink. ← Come Now Join the Norfolk Yeomanry!